this is so awful! I had so many comments when I was a size six, people would stop in their tracks and loudly go 'she is WAY too skinny!' even my so called friends would say 'you need to eat some cake' the double standards are ridiculous! I can't believe a plus size company thinks this is ok! Brilliant blog post, I completely agree. It's disgraceful and if it was the other way around, they would be one of the first to complain I'm sure. I don't really understand why we need plus size brands either, why can't all companies cater for all sizes? Great post, this definitely needed to be said! Can't believe a campaign like this was allowed to run. 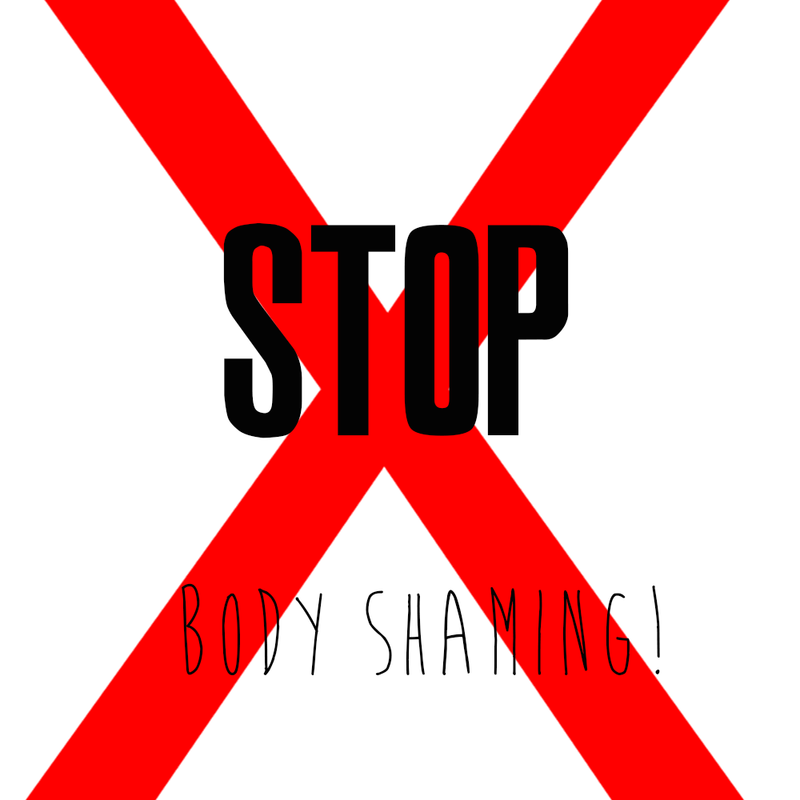 Body shaming is disgusting, whatever size or shape you are everyone deserves respect and to live without judgment. It literally doesn't matter what size or end of the spectrum you are, shaming bodies like that is disgusting! Ahhh.. the world is disappointing sometimes! This post is great, I really never thought about it in that way before! Why should they have to define plus size, you're right it should just be a normal size! Your blog is great btw, will be following you on bloglovin! This is appalling! I didn't know about that campaign but I hate it when people think it's ok to body shame anyone, regardless of their size. After having Elsa I lost a lot of weight and got so sick of everybody constantly telling me I was too thin! No one would ever dream of telling an overweight person they were too big! It's so annoying.